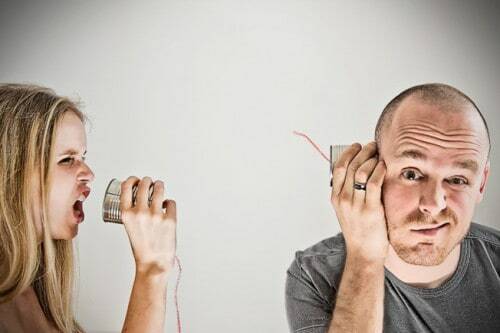 Over the years, I’ve had some leaders that communicated effectively and others that communicated very poorly. The effective communicators were very easy to work with because they kept an open communication. The ineffective communicators, however, were very difficult to work with because they had unclear expectations, did not effectively share their thoughts, and constantly had breakdowns in communication. So what does it take to be an effective communicator? What are some strategies you can use to effectively communicate with those you lead? You can do the four actions outlined below to effectively communicate with others. As a leader, you set the example for others to follow. This is very important when it comes to communication. You can set the example of good communication by regularly talking to those you lead. When leaders are open in their communication, their example filters down to those they led so they are also open in their communication. Your communication styles will rub off on those you lead. Be intentional when you communicate with others. Choose your communication style based on your audience so you communicate effectively with them. Prior to communicating with others, look at the possible impact your communication style will have and make changes as necessary to meet their needs. Think about what you are going to say before you speak. Don’t let your emotions get to you because once you do, others will stop listening. When necessary, speak firm and with boldness, but follow that up by showing appreciation for the positive contributions that have been made. Pay attention to the body language you communicate. If you have a straight or angry face, it communicates a totally different message than a happy smiling face. Your smiling face is much more inviting and will portray confidence and optimism. Let others know what you expect when it comes to communication. Explain what information you want from them and how you want the information provided. For example, if you want someone to do some research and get back to you with their findings and it needs to be presented in an email, let them know. Otherwise, they may write an extensive report that doesn’t meet your needs. In addition, let others know your timeline and why you need things done within that timeline. It is very frustrating when you have a tight timeline that others don’t meet and often they don’t meet it because they don’t understand. Ask those you lead whether or not you are communicating effectively with them. Ask them how your communications to them make them feel. Ask them if you are keeping them up to date on what is going on. Ask them if they have questions that you have not been able to answer that they still want the answers to. Ask them how effectively you are communicating with them. By asking for feedback regularly, you let them know that you care about them, and appreciate their thoughts. You will also gain valuable feedback on what challenges they experience because of your communication method with them. By requesting feedback, you will learn how you can improve so you communicate effectively. When you follow the steps outlined above, you will learn to communicate effectively with those you lead. It may not happen right away and it may be a little painful, but ultimately you will communicate more effectively as a result. Let me know your thoughts on effective communication in the comments section below!